Land Rover expects to win more customers for its Discovery SUV by offering high-tech gadgets, more interior room and a smaller diesel engine for European buyers. 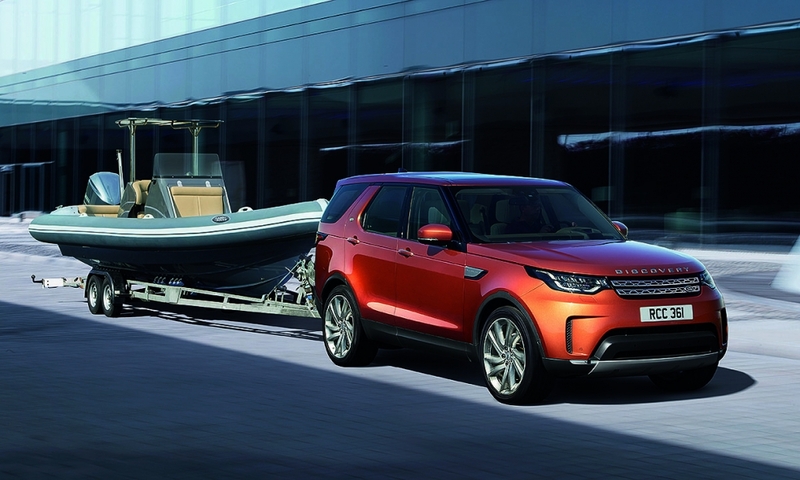 The new Discovery is a "highly desirable, extremely versatile and hugely capable premium SUV" that will appeal to a "new, wider customer base" the brand's chief designer, Gerry McGovern, said in a statement. Land Rover unveiled the Discovery today ahead of the brand's full public reveal at the Paris auto show on Thursday. The automaker said the Discovery has been designed to comfortably seat seven adults. It will also be offered with five seats in some markets. 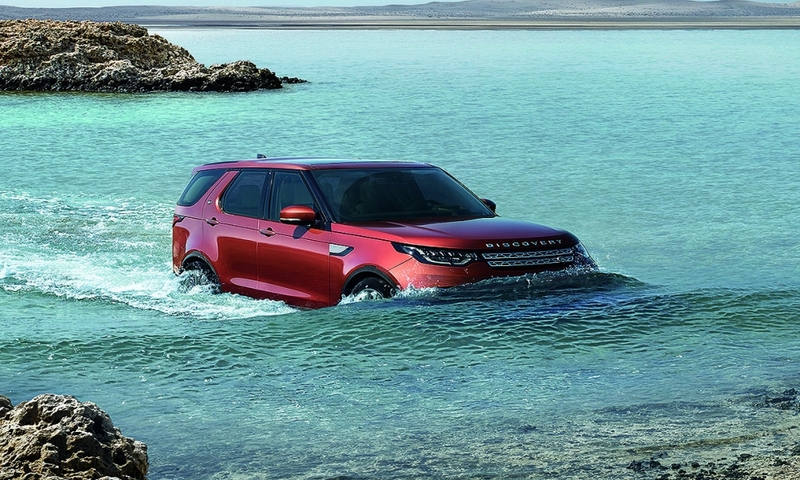 The new Discovery has more cabin space than its closest rivals, the Volvo XC90 and Audi Q7, Land Rover said. It is narrower than the current version at 2220mm wide (including mirrors) but taller at 1846mm and 141mm longer at 4970mm. 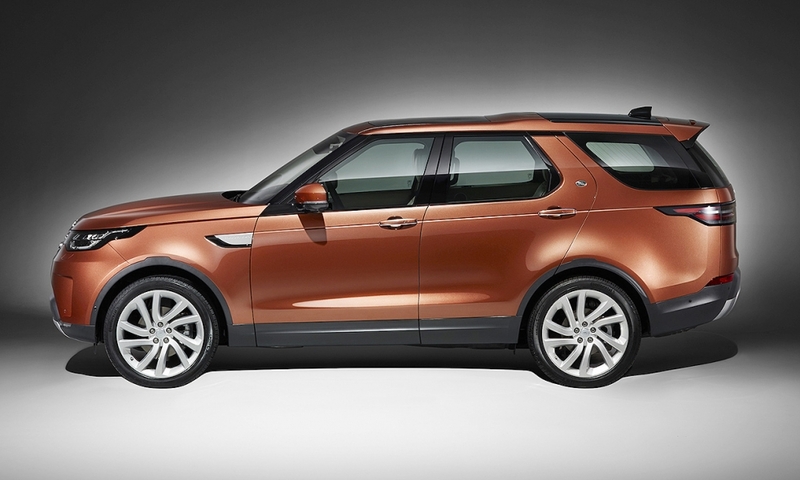 It borrows the front-end design from models such as the smaller Discovery Sport, but keeps some features from previous Discovery models such as the stepped roof. 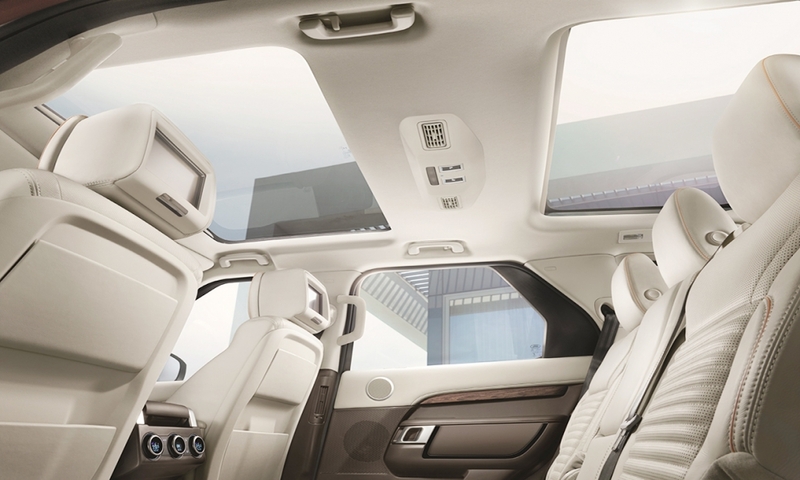 This increases passenger headroom for the rearmost seats, Land Rover said. The SUV lowers itself by 40mm when the doors are opened to help passengers exit from the car. 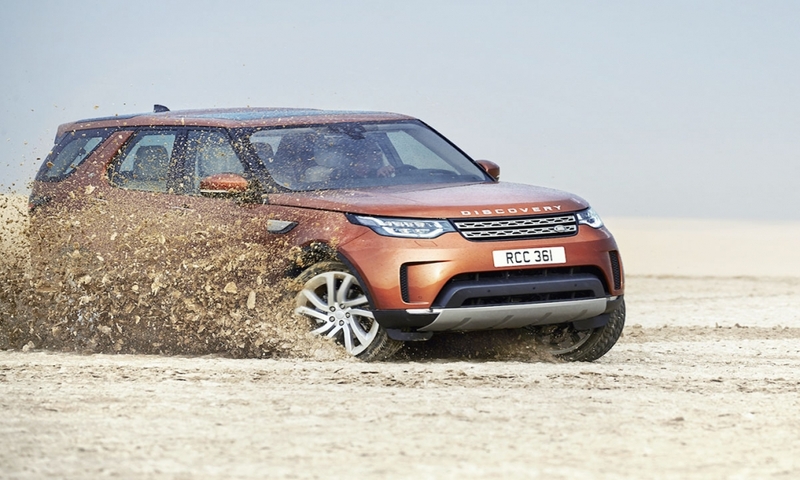 Land Rover said it had made dynamic changes to improve the Discovery’s cornering ability without compromising ride comfort. The SUV comes with an updated version of Jaguar Land Rover’s automatic emergency braking system that can detect adult or child pedestrians in the vehicle's path. It works at speeds up to 80kph (50mph). 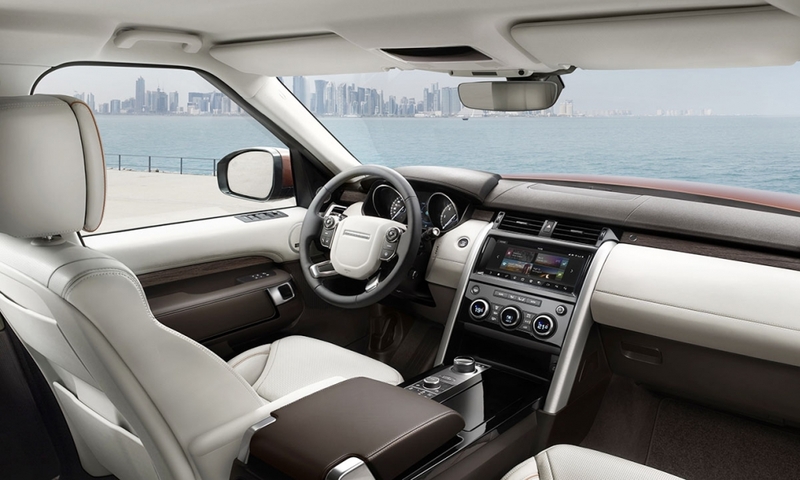 The Discovery's third row of seats can be folded flat electronically via a smartphone app. Customers can also get a bracelet-style so-called "Activity Key" that debuted on the Jaguar F-Pace SUV. This allows the driver to avoid carrying the standard key during sports activities where it might be lost or dunked under water. The Discovery will be offered to European buyers with a 2.0-liter, four-cylinder, twin-turbocharged diesel engine with CO2 emissions of 171 grams per kilometer. The smaller diesel will enhance the SUV's appeal to fleet and business customers, a Land Rover spokesman said. The SUV will also be available with a six-cylinder diesel and six-cylinder supercharged gasoline engines when it goes on sale in the spring, depending on markets. 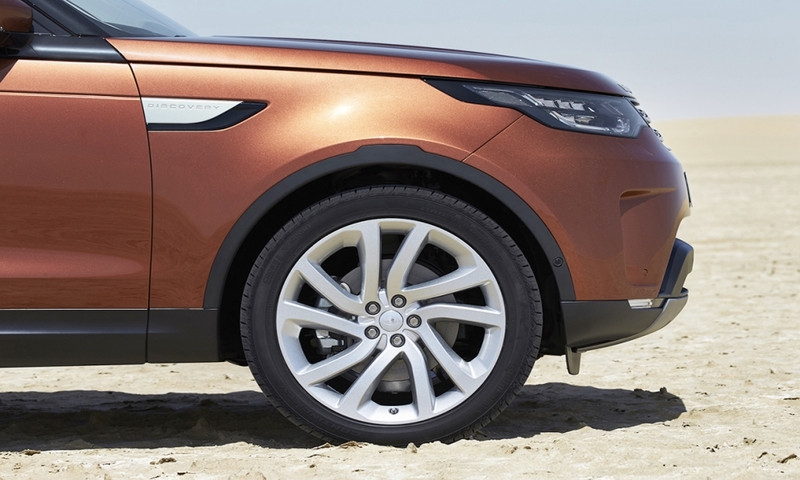 The new Discovery is built on the same aluminum platform as the Range Rover and Range Rover Sport. The monocoque structure is 480kg lighter than the body of the current car, which helps to improve fuel economy, Land Rover said. It is also more aerodynamic with a 0.33 drag coefficient, a result of intensive simulation testing, the company said. The SUV becomes more aerodynamic at higher speeds when the standard air suspension lowers the car by 13mm at 105kph (65mph). 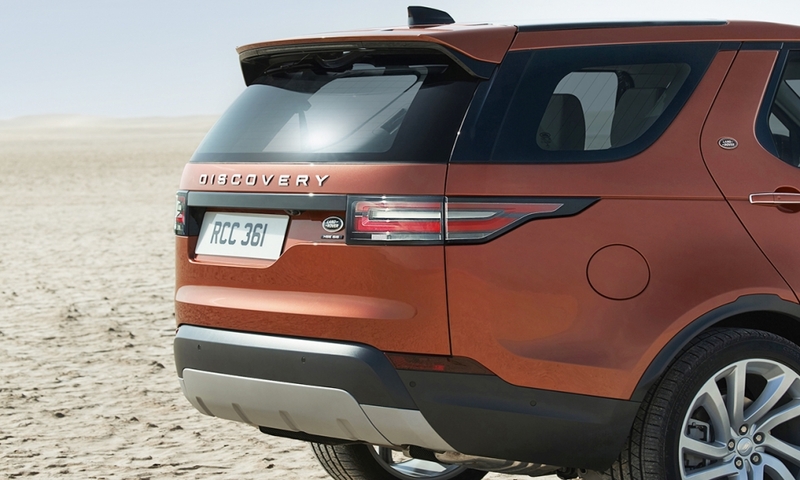 The Discovery’s tailgate no longer splits into two sections when opened. It has a lip at the base of the opening that either stays up to secure luggage or folds down to give a seating platform that can be used for event seating or changing muddy footwear. The Discovery will start at 43,495 pounds ($56,400) in its home market of the UK. The entry Discovery with the four-cylinder diesel undercuts it nearest rivals, the Volvo XC90 and Audi Q7. The cheapest Q7 is almost 5,000 pounds more while the entry-level Volvo costs 3,355 pounds more.